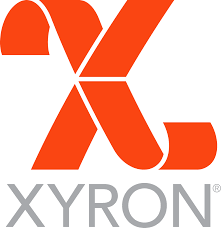 Blog Quick Quotes: Xyron and Quick Quotes Day 5 Part 1! Xyron and Quick Quotes Day 5 Part 1! Welcome everyone, today is the fifth day of the partner inspiration and hop between Xyron and Quick Quotes and we hope you have been enjoying the inspiration! We will have a second post later today so be sure to stay tuned for that as well! 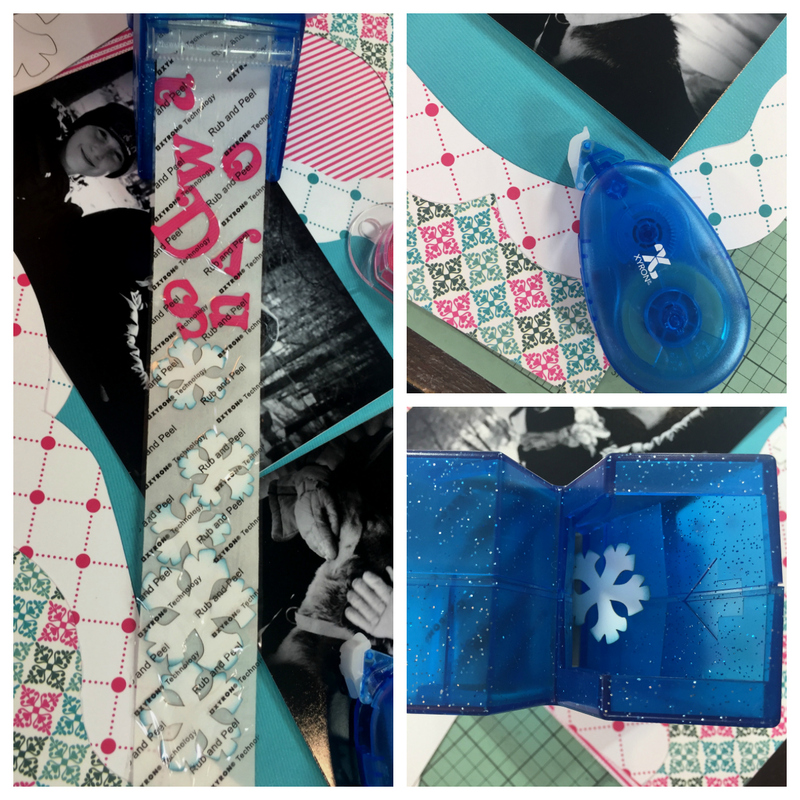 Alicia here today playing with the latest Quick Quotes papers, Winter Bliss, and Xyron adhesive products. What a fantastic combination! 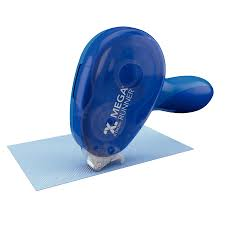 I must confess I did not own a Xyron Sticker Maker previously, although I have seen them around forever and often told myself, I need one. I am so excited to now own one! I found it a breeze to use while creating this snowy layout. Place item face up into the Xyron 1.5" sticker maker "X"
The sticker maker was awesome when it came to adhering all those little snowflakes and letters. I just put each item in the sticker maker and pulled a little and added the next one. I also used the smooth gliding Xyron Adhesive Runner for the rest of the layout. Here are some details of my layout. I wanted to use every one of the beautiful and wintery fresh papers from Winter Bliss so I did! I used lots of shapes and cutting tools to create the various layers of papers. 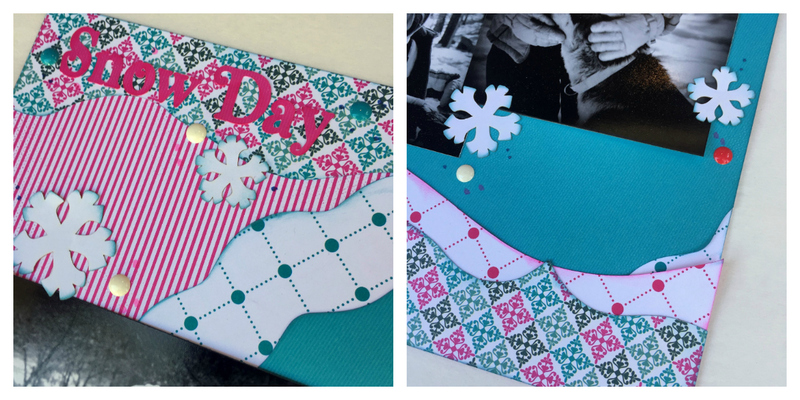 I topped with snowflake die cuts that you will see in the November Club Q, some enamel dots and a few doodles with a pen. Wonderful layout, Alicia. The papers are beautiful. 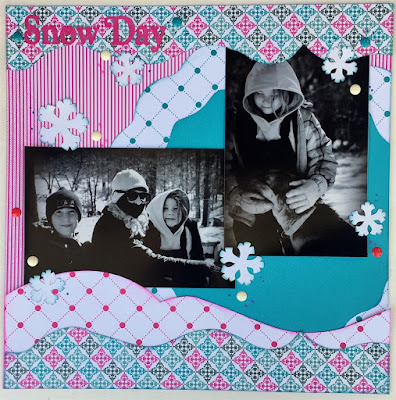 Love you layout with the beautiful QQ Winter Bliss collection. 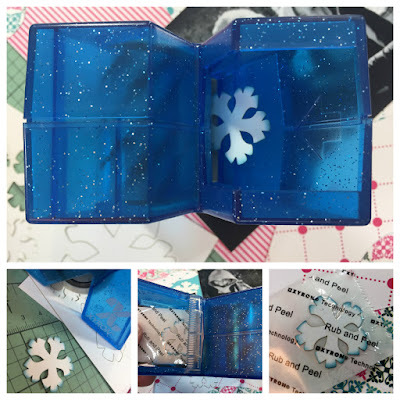 Great way to attach diecuts with the Xyron.